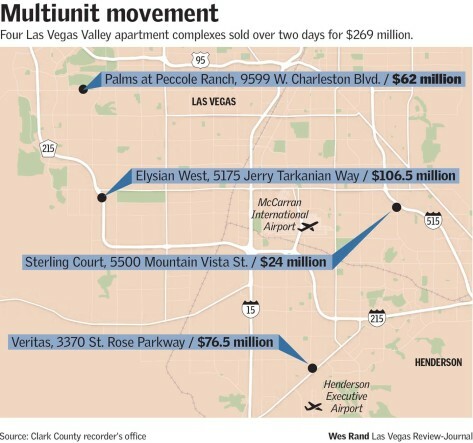 Two days, $269 million. 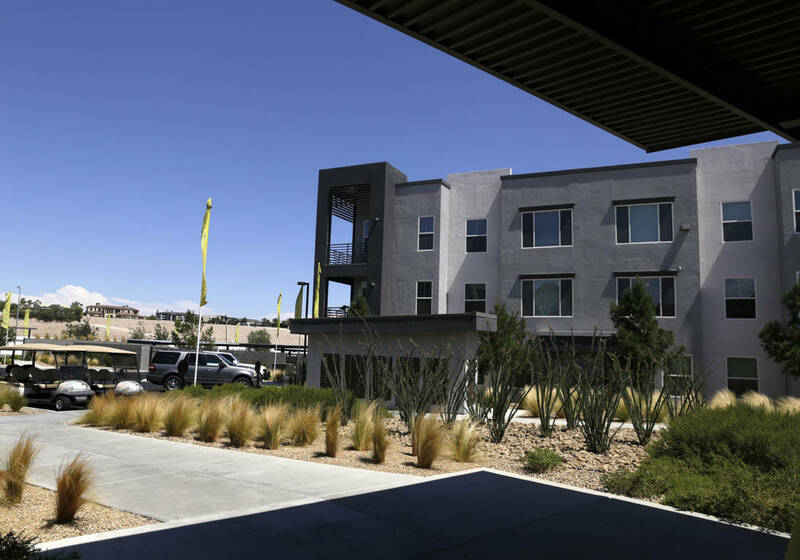 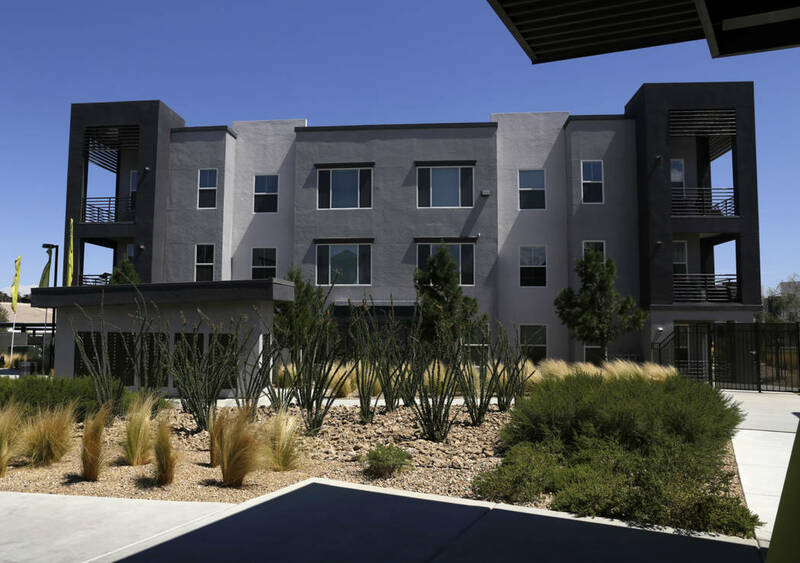 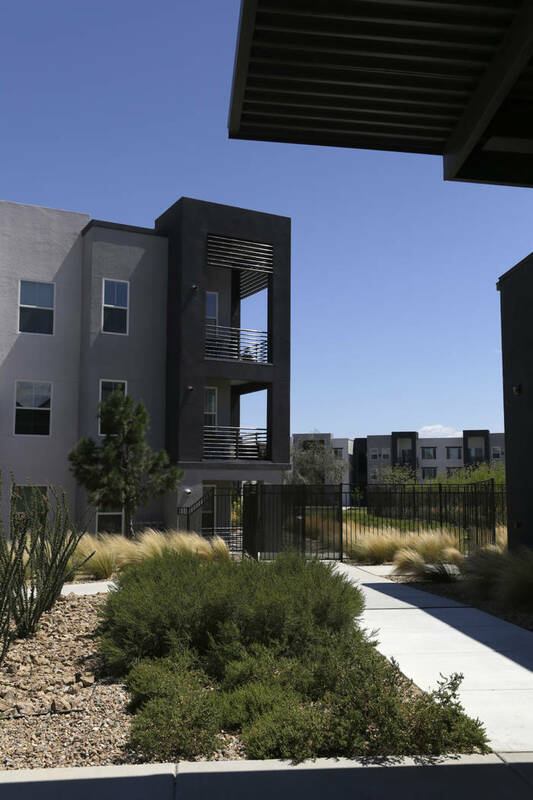 That’s how much was spent, in how many days, for four Las Vegas Valley apartment complexes last week – a burst of sales in a hot market that’s only getting more heated. 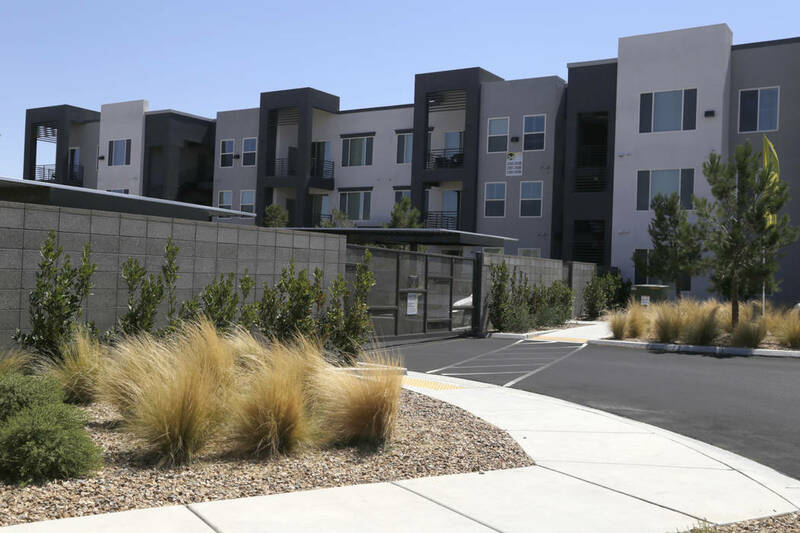 That’s how much was spent, in how many days, for four Las Vegas Valley apartment complexes last week – a burst of sales in a hot market that’s only getting more heated. 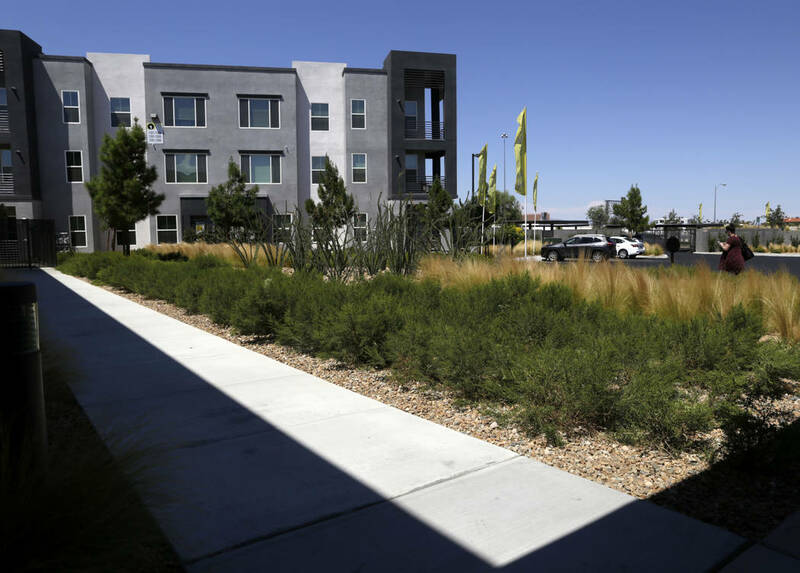 The deals show that Las Vegas’ apartment market, with its rising rents, shrunken vacancies and increased construction, isn’t cooling anytime soon – a windfall for contractors and landlords but potential concern for tenants facing bigger rent payments. 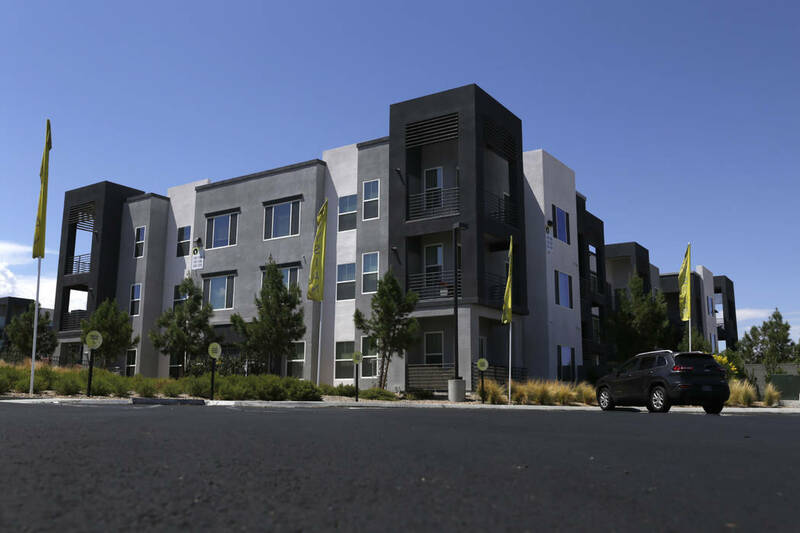 Helping fuel the market’s expansion are the improved economy, a growing population and low homeownership rates after last decade’s housing crash. 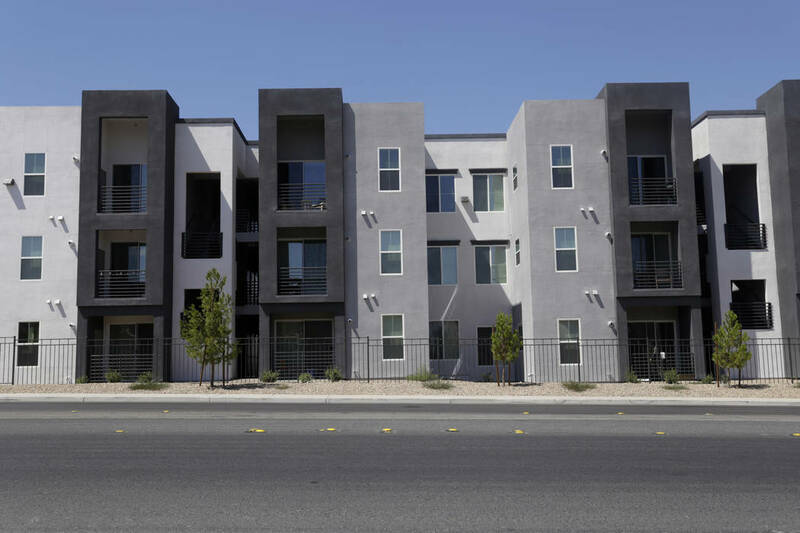 Blackstone paid around $228,500 per door – more than double the market’s average – for Elysian West, located south of Tropicana Avenue just west of the Beltway. 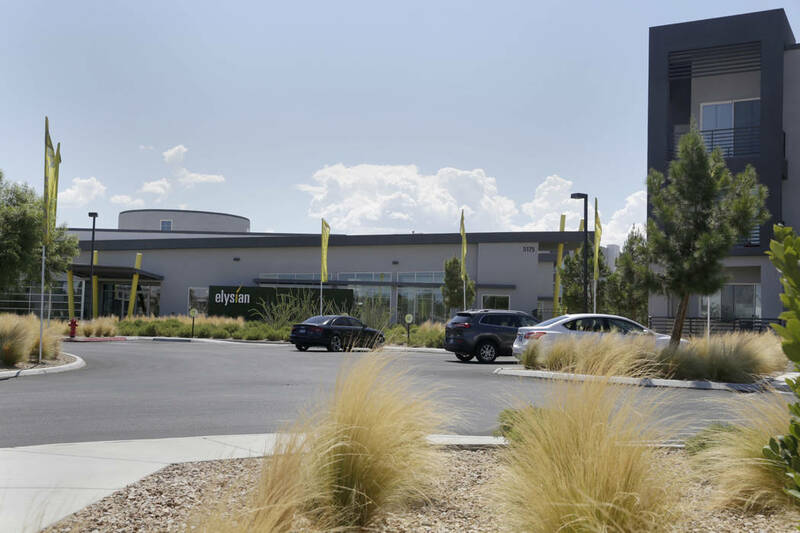 The complex opened last year and was 96 percent occupied at the time of sale, according to Calida Group co-founder Eric Cohen, whose firm developed and sold the project.